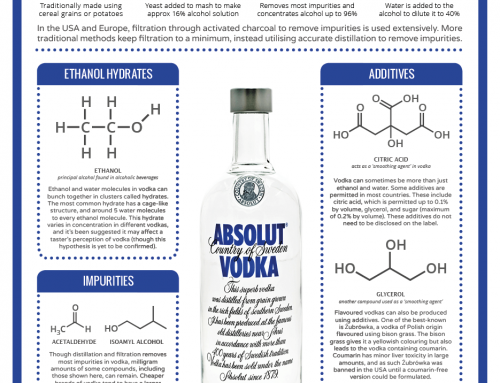 Ever wondered about the chemistry behind cocktails? If so, then this mini-series of graphics is for you! 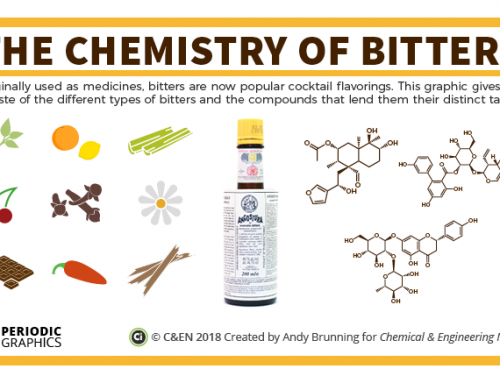 As part of the Pint of Science festival taking place in May, I’m running an event at La Raza in Cambridge (UK) looking at how chemistry can be used to make ‘molecular cocktails’. 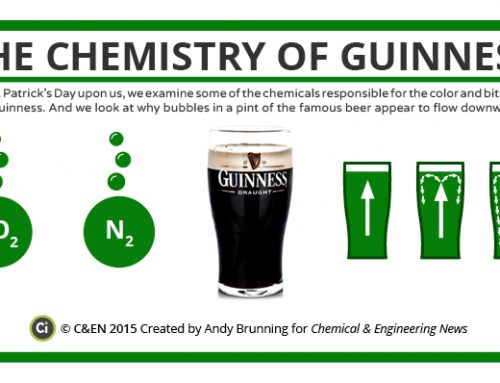 I’ve also created some graphics for it – here’s the first, looking at the chemistry behind creating foams and airs. 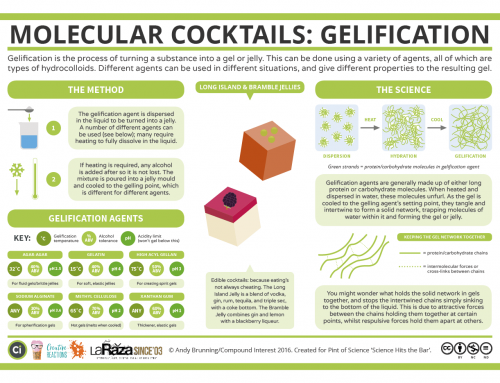 If you’re in or near Cambridge, and you fancy popping along to find out more about molecular cocktails and try some for yourself, you can grab tickets to the event from the Pint of Science site. I’ll also be sharing some of the other graphics and science we’ll be talking about at the event in the run up to it happening on the 23rd and 24th of May. Below are some photos from a trial event we ran a month or so ago! Want to top your cocktails with a light, airy foam? This can be done by mixing a particular group of chemical agents known as surfactants into our cocktail. 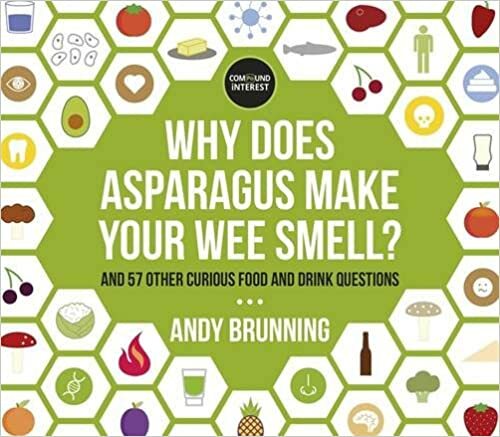 These are chemicals you’ve probably come across before, whether you realise it or not, as they’re used in countless home products: toothpaste, shower gel, washing up liquid, and more besides. At a simple level, in these products and in our cocktails, they’re performing a simple job: helping bubbles form without bursting. How do they do this? Surfactant molecules tend to be long ones – they’re usually proteins or carbohydrates. The long molecules that make them up have sections with one of two characteristics. Some portions of the molecule will be attracted to water, and want to be dissolved in it whenever they can. This is what chemists call ‘hydrophilic’. Other sections of the molecule won’t be attracted by water, and will avoid it; this is what chemists call hydrophobic. When we mix our surfactants in with our cocktail mixture, then give it a shake, air bubbles form in the mixture. The water-loving portions of the surfactant molecules stay dissolved in the cocktail mixture, whereas the water-hating portions take the opportunity to stick into the air bubbles that have formed. This combination helps to reduce the surface tension of the air bubbles, which in turn stabilises them, stopping the smaller bubbles merging together to form larger bubbles that could eventually just escape the solution. As a result, we have a foam! What can we use to make these foams? Well, one of the most common agents used is something we’ve all likely got in the kitchen: egg white. Egg whites are largely water, but most of the remainder consists of protein. These proteins can act as surfactants, stabilising air bubbles to generate a foam. Some people get worried about the risks of salmonella from raw eggs, but in reality the chances aren’t to dissimilar from that of being struck by lightning. Though there is a small risk, it’s often vastly exaggerated. If, even so, the thought of using raw eggs puts you on edge, then other options are available. 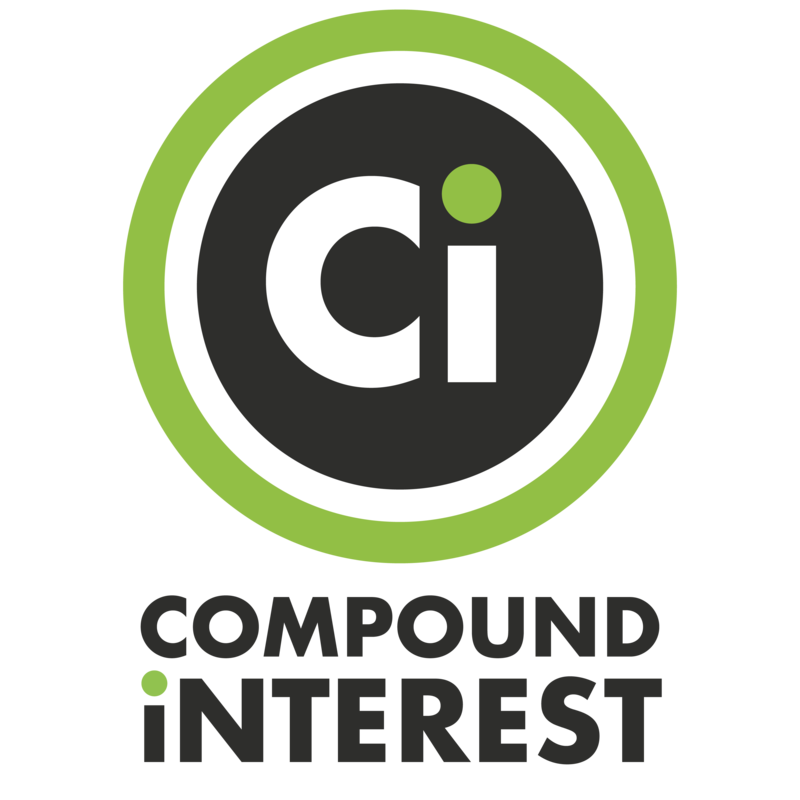 A common alternative agent is lecithin, which is actually a group of similar compounds that can be obtained in powder form. Often, this is in the form of soy lecithin. Agar, more commonly used as a gelling agent, can also be used to generate foams. There are also a number of ways in which we can prepare our cocktail foam. Probably the most common is the cocktail shaker. This aerates the cocktail mixture, generating the bubbles necessary for the foam to form, but also cools our cocktail much quicker than simple stirring would. Fifteen seconds of shaking chills the cocktail to the same temperature that it would require roughly two minutes of stirring to achieve. If you don’t have a cocktail shaker, a hand blender can do a similar, albeit messier job. 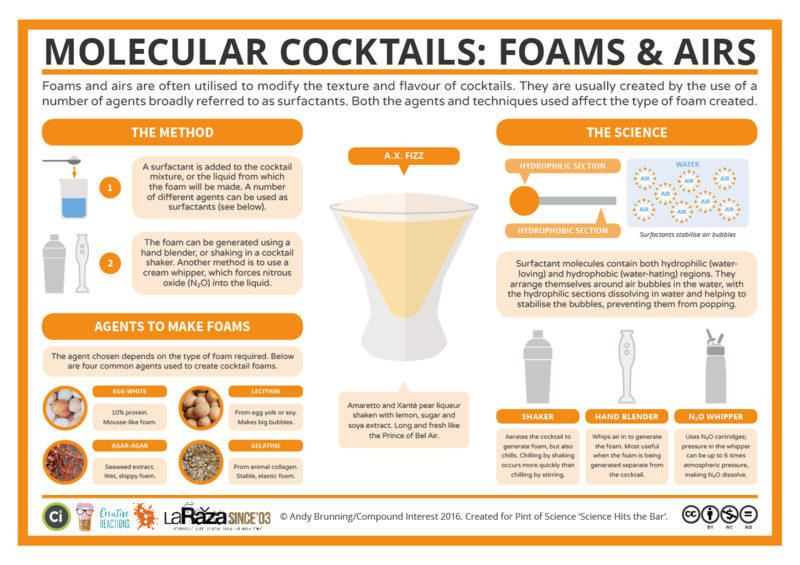 This method is often used if the foam is being generated separately from the foam, for example if you’re producing a different flavoured foam to top your drink. A third possible method is using a cream whipper. These are commonly found in kitchen shops, and are usually used to create whipped cream. They consist of a vessel into which cartridges of nitrous oxide gas can be inserted. The pressure inside the vessel can be up to six times atmospheric pressure, and this increased pressure causes the nitrous oxide to dissolve into whatever mixture we’ve placed in the vessel. When it’s squirted out, the mixture is obviously back at atmospheric pressure, and the nitrous oxide comes back out the solution, generating bubbles. 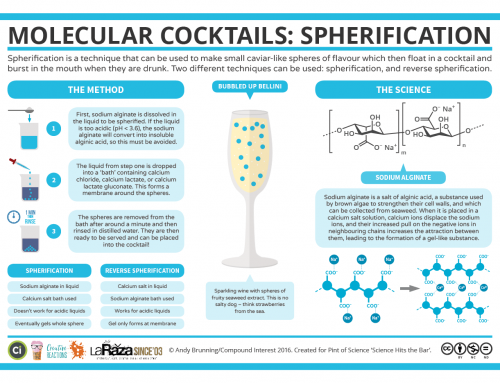 As with all the techniques we’re discussing in the Science Hits the Bar series, this is easy to do with your own cocktails, and can be used to add a nice twist to your favourites. Give it a go!